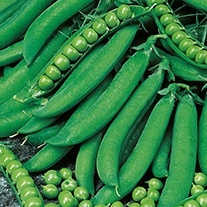 Pea Seeds delivered direct by D.T.Brown seeds. 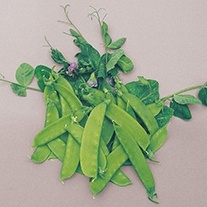 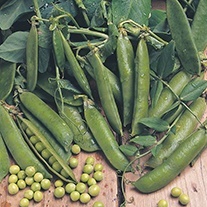 Our garden pea, Pisum sativum, belongs to a genus of five species; it is found in the countries bordering the Mediterranean Sea and western Asia. 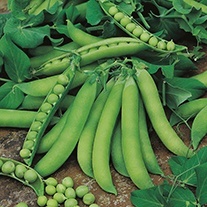 The name 'Pisum' was used by the Roman poet Virgil, and up to 30 different varieties may have been grown by the Romans. 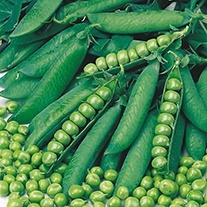 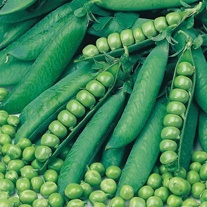 Peas were, however, being grown as far back as 4500BC in Egypt. 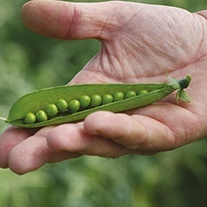 Make a flat bottomed drill 15cm/6in wide and water it well. 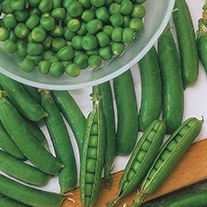 Sow about ten pea seeds per 30cm/12in, spacing them evenly in a zigzag manner. 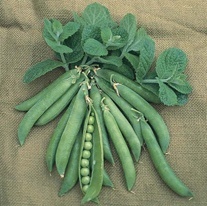 Cover with about 2cm/1in of soil, and firm it down with the flat edge of a rake. 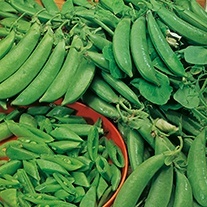 Allow about 60cm/12in between rows. 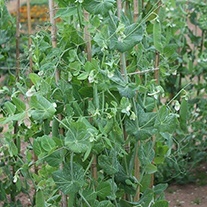 As seedlings emerge, the shoots are very attractive to birds, but a few little twigs placed over the row will give some protection. 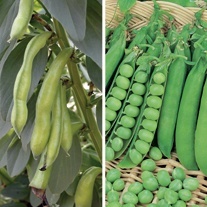 Autumn and early spring sowings will benefit from cloche protection. 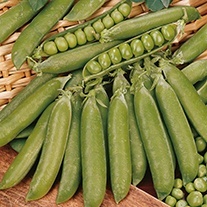 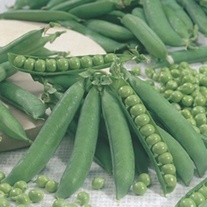 As the peas start to grow, support them with netting or pea sticks. 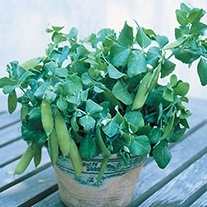 Keep the plants well-watered, especially in dry spells.